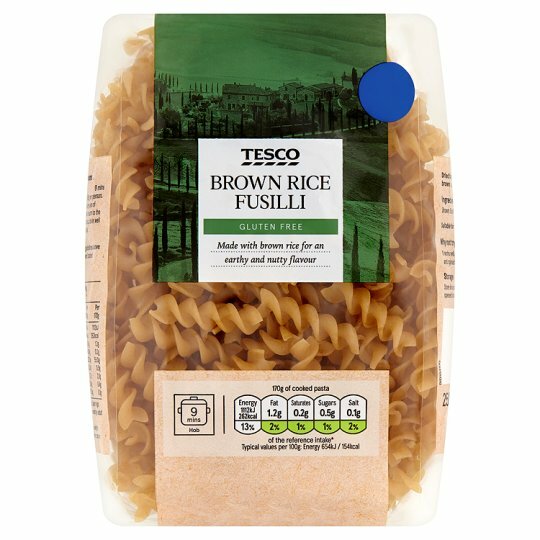 Dried fusilli pasta made from brown rice. Cook for 9 minutes, drain well and serve immediately. Follow the cooking guidelines above closely. Do not exceed stated cooking time.